Amazon has the GoPro HERO4 SILVER Starter Bundle for $375 which is better than the Black Friday Prices on this big bundle! 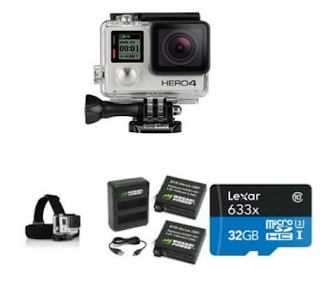 Amazon also has the GoPro HERO4 Silver Camera for only $329.00 right now, this is the Camera Only! Or you can get the Original GoPro HERO Camera for only $129.99!